Our team at Waukee Dental will work together to serve the needs of your entire family. 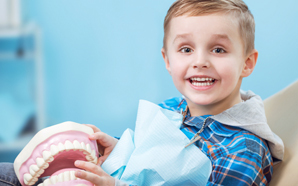 Starting as early as the appearance of a baby’s first tooth (6 – 12 months) to those patients with a more mature smile looking to maintain their existing teeth. With a little direction and proper home care, we can help you keep your smile bright and healthy. Your initial examination will include a visual examination, charting, periodontal probing, TMJ exam, oral cancer screening, dental cleaning, diagnosis and treatment recommendations, and a series of x-rays for proper diagnosis of anterior (front) and posterior (back) teeth. Some cases of periodontal (gum) disease may not respond to a more conventional treatment and self-care, such as flossing and may require a special “deep cleaning” called scaling and root planing. This occurs when plaque and tartar accumulate below the gumline. The procedure requires local anesthetic to reduce any discomfort. The tooth and root surface below the gumlines are then planed and smooth. 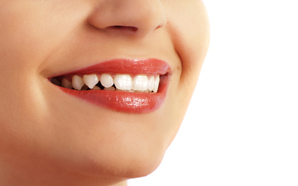 If effect, scaling and root planing helps the gums reattach themselves to the tooth structure. Additional measures may be needed if the periodontal pockets persist after the procedure. As with any cancer, early detection will provide a greater range of treatment options and greater chances for successful treatment. A visual inspection during a regular cleaning can often catch oral cancer, which is why it’s crucial for patients to schedule checkups and oral cancer screenings every six months. Choosing a healthy lifestyle is also helpful in avoiding the possibility of developing oral cancer. For example, a heavy smoker or drinker will provide a much greater scenario for the development of oral cancer. 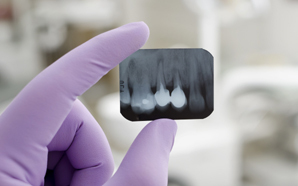 X-rays are essential to any dental treatment plan … catching potential issues before they become problematic. Fluoride treatments generally take just a few minutes, and provide extra protection against tooth decay. 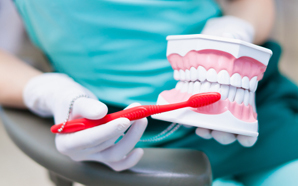 Our team can fit you for a custom night guard to protect your teeth during sleep. 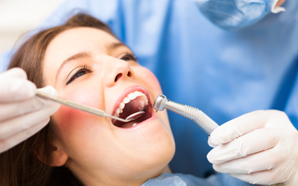 During your routine dental checkup, you’ll receive a cleaning from our experienced dental hygienist. 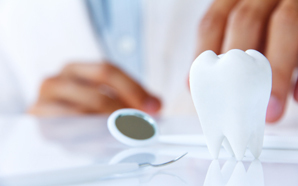 Dr. Brown will also examine your teeth and the overall health of your mouth. 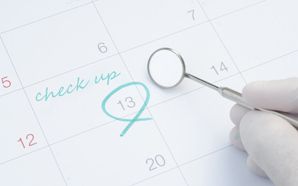 These routine checkups help prevent common dental health problems such as tooth decay or periodontal disease and can minimize more serious issues by identifying and treating them early.